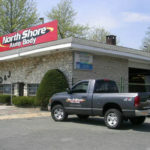 North Shore Autobody and Sales has been servicing the entire North Shore Massachusetts area for over 30 years. 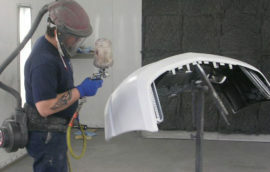 We are a full service collision, mechanical and pre owned sales center, now featuring PPG Waterborn Paint. 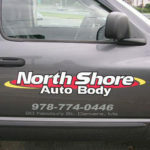 When it comes to Auto Body & Collision repair on the North Shore of Massachusetts, the reputation of North Shore Auto Body leads all others. We have been doing dealership and Insurance work for over 30 years. Our hrs. of operation are Mon.-Fri 8am - 5:00pm Closed on Saturdays. 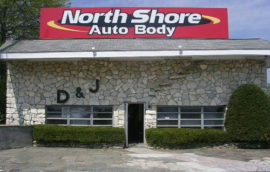 North Shore Auto Body hopes to be your reliable source for every aspect of your car’s small maintenance and repair in the future, from a brake job to fixing a loud muffler! Our auto service staff is trained to advise you of the most reliable service and with repair recommendations that fit your driving habits. Great experience overall. Professional and honest, two traits hard to come by in a body shop. I was told they couldn’t look at my car right away when I smashed the front bumper and just needed my hood latch repaired, but when I picked it up the next day it was fixed up perfectly. If I ever mess up my car again I’ll know where to go, and I will make an appointment beforehand. There is no other body shop I would ever take my car to again. North Shore Auto Body is the best! Dave, the owner/ manager is extremely professional, honest and has the best crew of guys working for him. I took my car in after a crash and previous damage where my car was hit while parked, two separate claims. It was a mess. I just picked it up and she looks better than when I first bought her. Not only did he save me money but he also went above and beyond taking care of a complex claim and all of its issues, while only keeping me posted along the way without having me get involved in taking care of dealing with the insurance companies. I knew that he always went above and beyond for his customers but this was the first time I experienced it for myself. 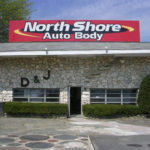 If you need body work of any scope, I highly recommend Dave and the guys of North Shore Auto Body. Not only will you not be disappointed, you will be extremely pleased. If your vehicle has been in an accident, no matter how bad, this is the place to go. My 06 Honda Ridgeline had the front end almost completely torn off. Three weeks later it was returned to me and, if I had not seen the damage with my own eyes, I never would have believed it had been in an accident. My 9 year old pickup looked like it did when I first picked it up and drove just as well. Dave, the owner, was a delight to work with. He kept me up-to-speed on the repairs and dealt with my insurance co. directly. I was skeptical that my truck could be returned to its original condition but I was completely wrong. Go to Dave and trust him to do right by you. If your car can be fixed, he’s the guy for the job. Auto mobile accidents appear to be the norm around Boston. With 50 years of experience driving in the area and dealing with insurance companies the system has come a long way. To the consumers benefit. 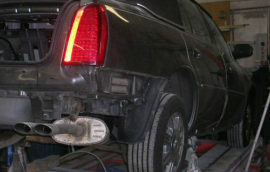 After being rear ended on Rt 128, North Shore Auto Body was recommended to me by my mechanic. It was such a pleasure working with Dave, the owner operator of North Shore. He was very easy to talk to. He was patient with me. He explained how the system worked, helped me with a rental car and pick up. He gave me a date when he could start the work on my car and when he would finish it. And he kept his promises and managed my expectations. Based on my experience with him I would highly recommend his shop. 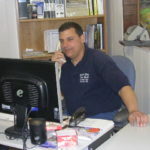 Who is behind the best Body Shop in Danvers?